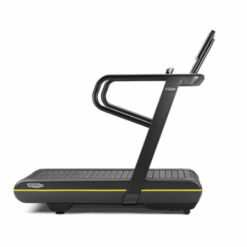 The Club Series is rooted in more than 20 years of reliability, innovation and exerciser insight from health clubs worldwide. The next-generation Life Fitness Club Series Plus Treadmill is now stronger and sleeker than ever – but retains the durability you’ve come to trust. 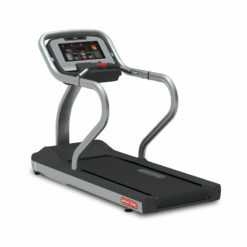 The Life Fitness Club Series Plus Treadmill delivers excellence on every scale. 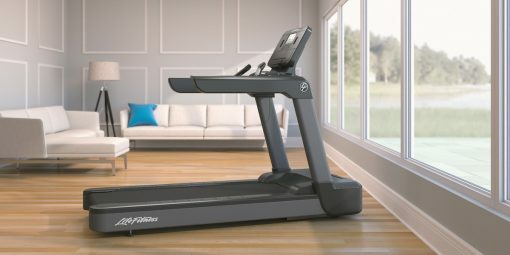 Driven by a powerful 4.0 HP AC peak performance motor, it offers a challenging 19km top speed, coupled with a 0-15% incline for when you want to climb those hills. 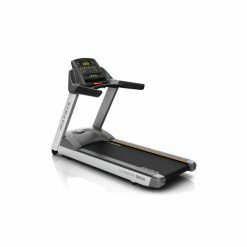 A sturdy treadmill, the Club Series Plus boasts a solid frame with adjustable levellers for stability, robust paintwork and cast aluminium side rails. 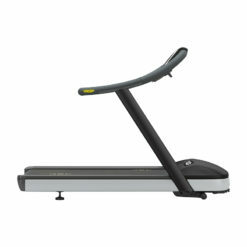 The sturdy DX3™ Belt and Deck System allows a higher maximum user weight of 181kg (28st 5lbs approx.) while the second generation FlexDeck® 2.0 Shock Absorption significantly reduces impact to your joints. 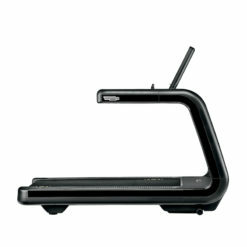 A wider running surface and open space near the console ensure there’s plenty of room for natural running. Room to run: A wider running surface of 22″ (56 cm) appeals to a range of exercises, and the sleek design and low step-up height of just 8″ (20 cm) ensures the treadmill fits well in your home. 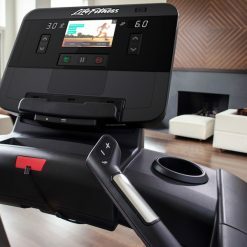 Advanced exercise technology: The intuitive touchscreen console creates a connected experience. 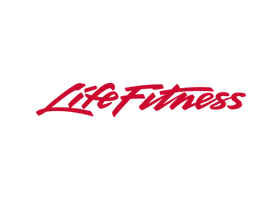 Your last workout is automatically saved, so you can replay it and strive to improve your performance. Challenge yourself with our auto-refreshed trending workouts. 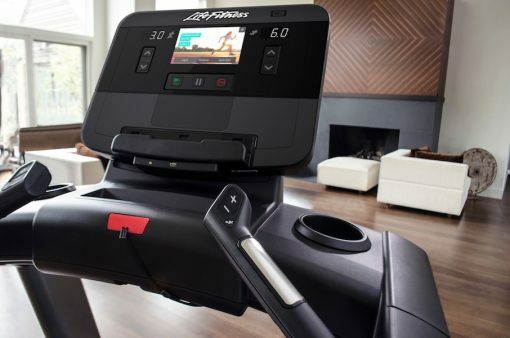 And, track your progress over time and push workout data to your favourite apps through Bluetooth® and NFC connection. 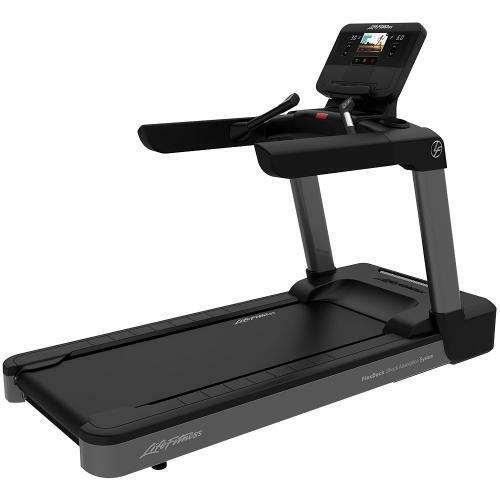 Built to last: The reinforced upright design, aluminium kick- resistant endcaps and second generation FlexDeckTM shock absorption system ensures this treadmill will stand the test of time. Wi-Fi-enabled LFconnectTM Protect allows for remote diagnostics. 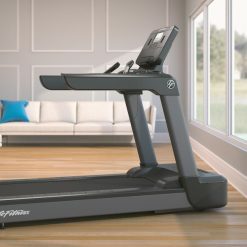 Swing free area: Open space near the console provides more room while you exercise, and integrated speed and incline buttons allow adjustability, without interfering with your workout.